Buckle up! Offering a modern take on a classic mule, OSIE by Mollini features a crossed strap design with a chunky belt embellishment, which lends a high-fashion feel to the shoe. 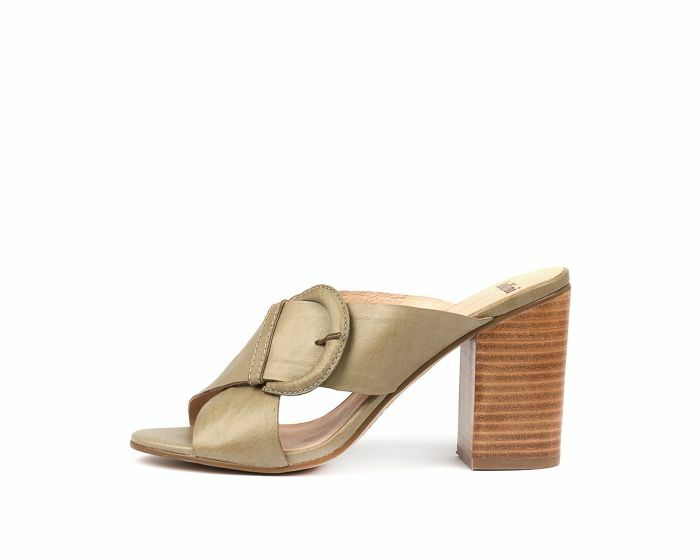 Including an on-trend block heel and slip-on fit, this shoe will make a fashion statement paired with your favourite dress and bold accessories!